A few weeks back, during a dinner gathering, a friend approached the writer to find out what is the current market price of some Rolex sports watches in the market. Being a good friend, the writer advised him on the prices – but also the availability of such popular pieces. Ideally, he wants a brand new watch. This is because it is going to be his first expensive timepiece, after working in the financial sector for a short while. However, as we know, brand new Rolex watches in the sports category are hard to come by. That got us thinking. What are some of the respectable watches that are well priced, but are not restricted to a long waiting list? Let’s find out! 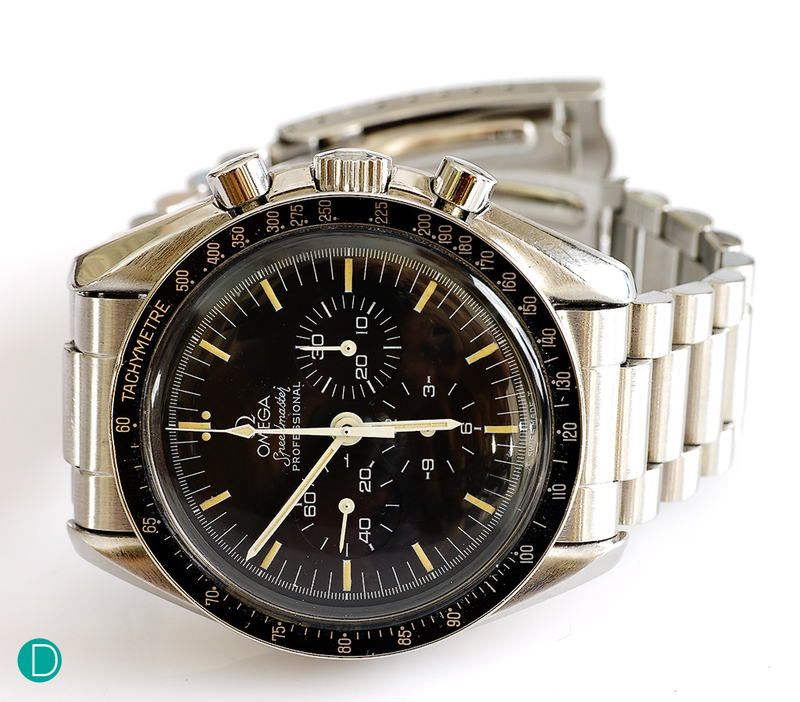 We begin the article with a popular and conservative choice: Omega Speedmaster Professional. The Speedmaster Professional, or more commonly known as the “Moonwatch”, is a timepiece that is gaining quite a fair bit of traction in recent times. This can be possibly attribute to the recent launches of some brilliant limited edition pieces such as the “Ultraman” or “2020 Olympics Tokyo Limited Edition“. The original variant is perhaps our favourite. It is a no-nonsense timepiece, with a strong and intriguing provenance. We also particularly have a thing for its robust Calibre 1861, which is interestingly one of the few rare manual-winding movements available in the market. The watch is priced at S$7,150, and we think that it is a great piece for a young corporate warrior who wants something that is low-key but well-respected at the same time. 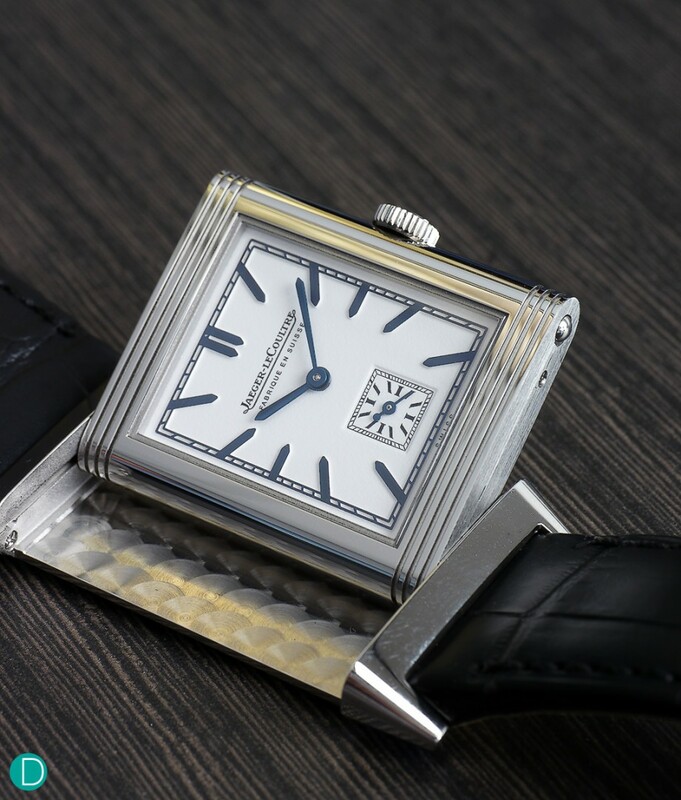 The Jaeger LeCoultre Reverso is an intriguing timepiece. The watch was first conceived as a sports watch, as César de Trey was challenged to create a timepiece that is able to withstand the knocks from the mallets in polo matches. The rest, as they say, is history. Over the years, the Reverso had evolved itself into an elegant gentleman’s dress watch. This is due to its discreet and subtle design, as well as its relatively thin case profile. The reversible case is a novelty too, despite the fact that this concept has been around for more than half a century. Jaeger LeCoultre is a brand that is not as well-known to individuals who are not into watches, which makes the Reverso a rather low-profile timepiece. Those who know, will know. It will attract only the right kind of attention. Prices for the Reverso begins at US$4,150 (S$5,618), and it varies depending on both complications and case material. It is really nice piece to kick start a watch collection, and in addition it will certainly complement any corporate attire beautifully. The Grand Seiko collection is probably one of the best kept secrets in the horological world, until a few years back. Amongst the finely crafted watches from the atelier, the “Snowflake” (Reference SBGA011/SBGA211) is perhaps one of the most popular options. This is highly attributed to its textured dial, combined with the immaculately finished case and Spring Drive movement. The result is an aesthetically stunning timepiece at all angles. Priced at ¥570,000 (approx S$6,900) in Japan, the Snowflake offers collectors tremendous value. 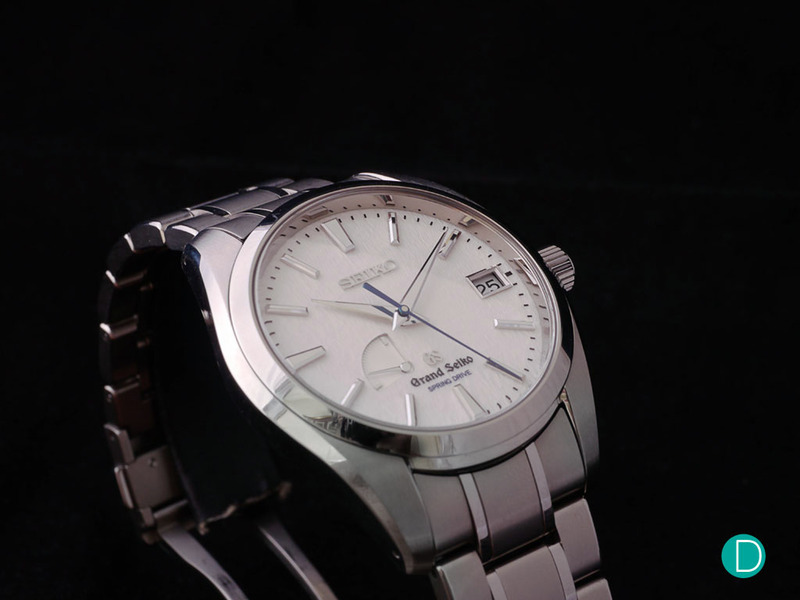 Similar to some of the other watches here, the Grand Seiko is discreet and low-profile. It is difficult to go wrong with this exceptional piece. In the town of Glashütte, which lies big names such as A. Lange & Söhne and Glashütte Original, there is a budding watch manufacturer that had captured the attention of many in recent years. Here’s introducing NOMOS Glashütte. The independently-run German watch manufacturer is known for producing great timepieces with an excellent value proposition. In addition, the brand is also known for its Bauhaus-inspired minimalist design, as well as the use of in-house produced movements. The Zürich Weltzeit is perhaps one of the watches that best embodies these key differentiating points. 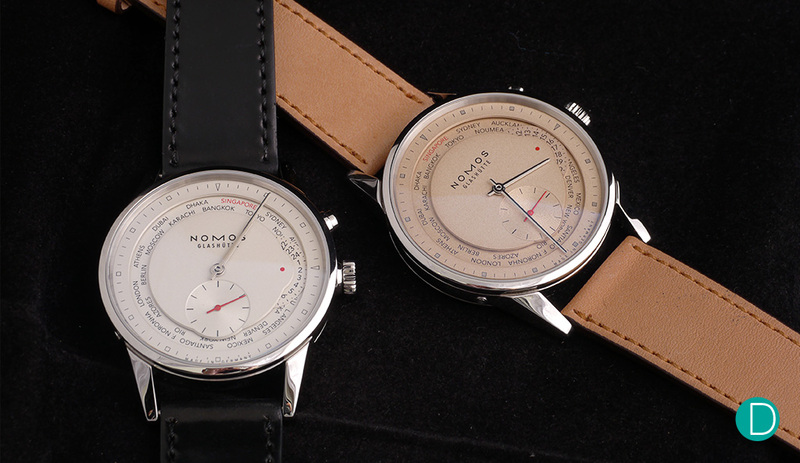 The Zürich Weltzeit is NOMOS take on the world time complication. It looks simple, and yet intuitive to operate. The user is only required to push the button at the 2 o’clock position adjust the second time zone. It can’t get any easier than that. Priced at S$8,030, the 39.9mm Zürich Weltzeit is certainly an interesting and functional timepiece. It is also very discreet and elegant, which is an additional plus point. Our choice for this particular model is the blue dial variant, but we reckon the other options are equally as good too. This is an excellent piece with an in-house movement, and this will surely give its competitors a run for their money. Continuing on the theme of German watches, we have another strong contender from the town of Glashütte once again with the Glashütte Original (G.O.) Sixties Annual Edition. The Sixties line is a new collection, which celebrates the partnership between G.O. and the Dresden Music Festival. The highlight for this collection lies in its dial – which is also known as the dégradé dial. 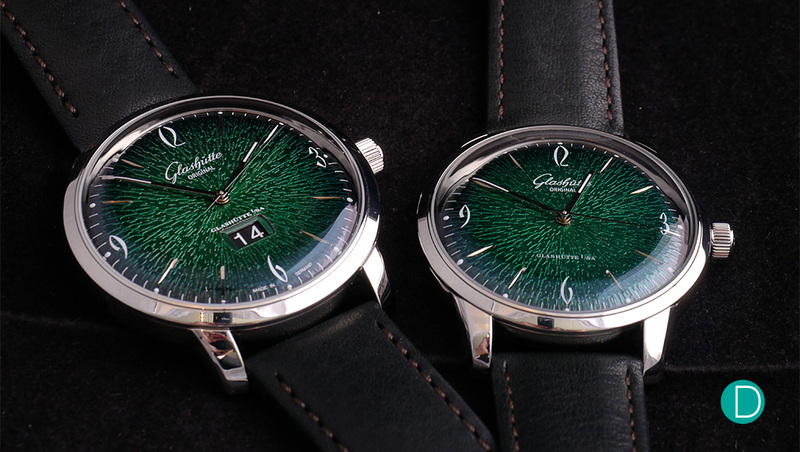 The two main characteristics of the dial lies in its textured dial, and the gradual change in the shade of the colour from the core to the peripheral. More information on the production of the dial can be found in this article. The watch is powered by the in-house Caliber 39-47. It is a self-winding movement, with a decent power reserve of around 40 hours. The finishing is decent, with Glashütte stripes, bevelled edges, and a skeletonized rotor with a 21-ct gold oscillating weight. It retails at S$11,400 – but given its limited production run, chances are it is almost impossible to come across one that is available for sale. 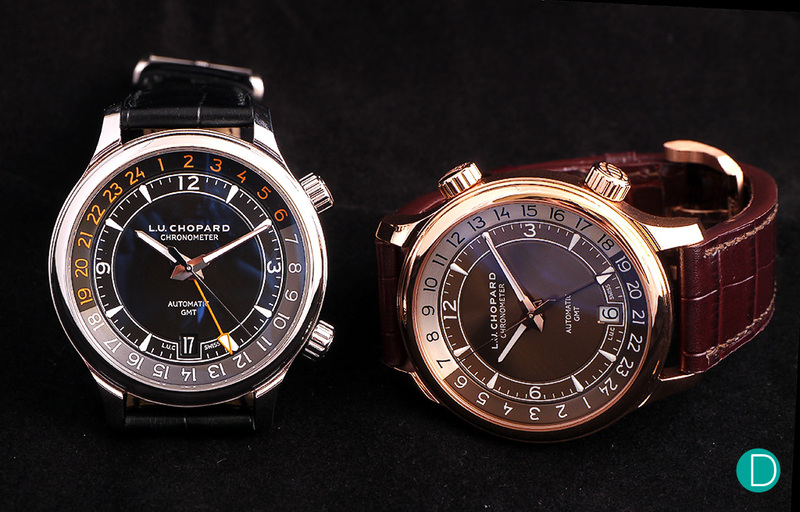 We round up the article with Chopard’s L.U.C GMT One. The L.U.C GMT One is priced at S$13,630. Although the watch is slightly pricier than the rest of the watches in this week’s column, but we think that both its functionality and quality make up for the premium in its price tag. It is also a handsome piece, and we are sure that it will look appropriate in any kind of formal occasion. Getting a nice watch, especially for a budding collector, is an important step. This is even more so in the corporate setting – where they are many knowledgeable watch collectors in the surrounding. While Rolex might have been the obvious choice for a decent timepiece, but it is almost impossible to get one given its current hype. Besides, interesting pieces from brands such as Glashutte Original or Grand Seiko might even attract the more discerning collectors that you might want to impress. Talk about getting the right kind of attention. Ultimately, it is all about getting a watch that suits your taste and preferences. The idea of this article is not to impose what are some of the watches that newly minted corporate warriors should look out for. In fact, this should only serve as a guide – for individuals to further explore their options. So, what are your thoughts on the article? Also, what are some of the watches that you have bought – as a reward for getting a spot in the corporate world? Let us know in the comments section below!